Notes: Camp Mabry, Austin, Texas. 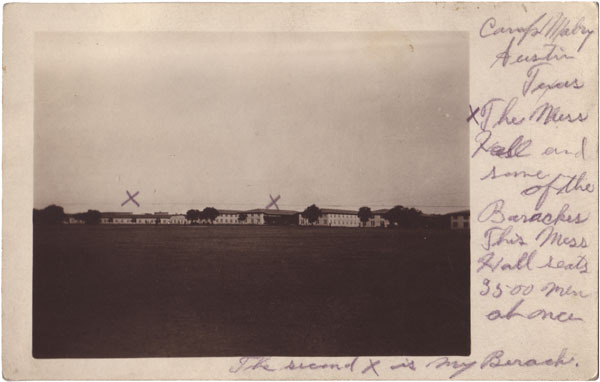 (x)The Mess Hall and some of the Barracks. This mess hall seats 3500 men at once. The second X is my Barrack.